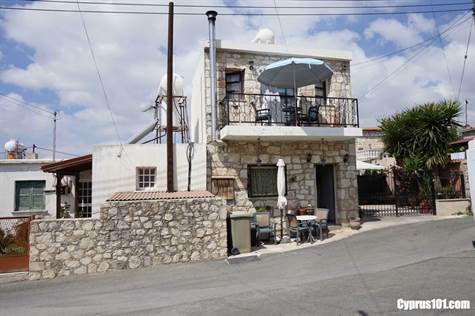 Agios Demetrianos, Paphos District – This character 2 bedroom stone house is situated in the quiet, rural village of Agios Dimitrianos which is surrounded by beautiful countryside. The setting is very peaceful and the area is known as a walker’s paradise with low humidity levels in the summer. Furthermore, anyone wanting a lock up and go holiday home, or a quiet rural life in a friendly, traditional Cypriot village, this is an ideal property.